My Baggage is an affordable budget-friendly option for students who want to get their luggage to university without spending a fortune. As well as being a pretty stressful time in your life, moving to university can also be a lot more expensive than you first expect. On top of the money you’ll need for food, transport, rent and you know – basic survival, you’ll have to fork out on stuff like kitchenware, bed sheets, books and essential items that really add up. If you’re travelling to uni by plane, adding baggage to your flight can dramatically increase the cost of your overall journey – especially if like most students you’re bringing more than one suitcase. Sending a bag with My Baggage can be up to half the price of airline baggage charges and with us, you get twice the weight allowance (up to 30kg per item), so it’s great value for money too. 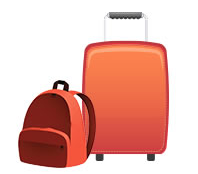 My Baggage offers international student shipping services to 200+ countries worldwide. For students moving to university at the other end of the country, the most common option is to pack the car full of luggage and make a long journey, or even multiple journeys, from home. Using My Baggage gives you the opportunity to save a considerable amount of cash by cutting down on the multiple journeys, lightening the load in your car, or even leaving the car at home altogether. Instead, you can take a bus or a train and have your luggage waiting for you when you arrive. My Baggage is also much cheaper than hiring a man in a van to deliver your items. With us, it costs from just £16.99 to send your luggage from your home to your university halls, student house or flat. 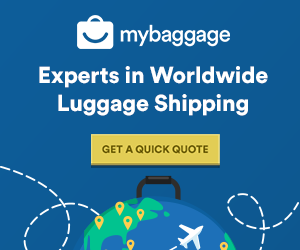 As all the My Baggage team are recent graduates, and most of us have studied abroad, we know what you want and need from a luggage shipping services. We know that, as a student, finances are already strained, which is why we keep our prices low. My Baggage also offers a handy Price Match service. If you happen to find a cheaper quote elsewhere, we’ll do our best to beat it.